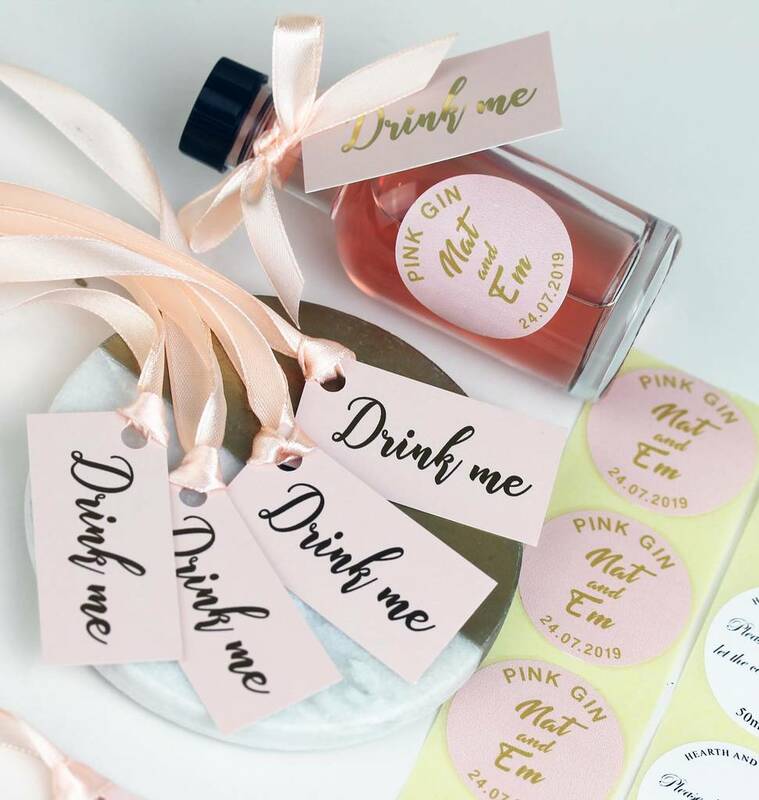 Make your own beautiful wedding favours using our gorgeous blush pink and gold label packs. 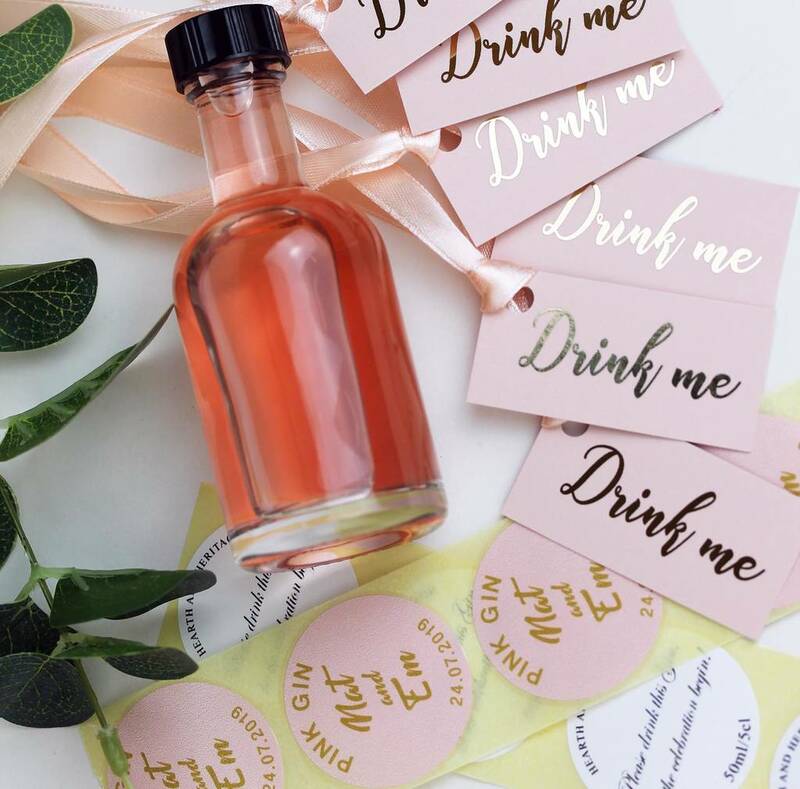 If your making your own delicious wedding favours for your wedding then you will need some beautiful tags and labels to finish them off, these blush pink and gold are just the perfect finishing touch for that bottle of gin, pink or otherwise. 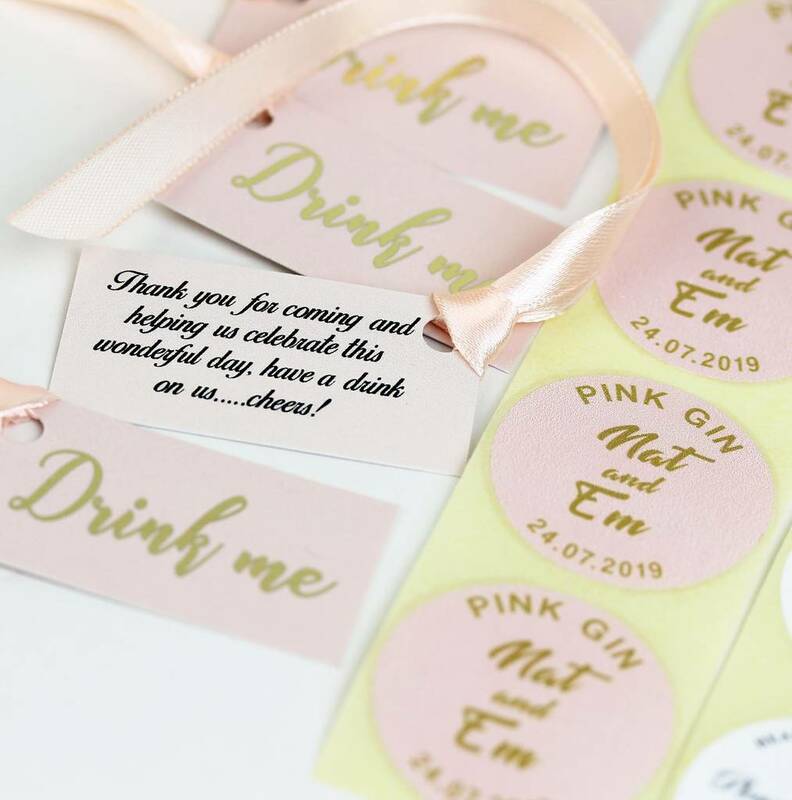 Give us your personalised details and we will print the front labels for you then send you your tags with threaded ribbon and back labels, all you need to do is attach them. Please note the front bottle stickers are blush pink with gold coloured lettering, not foiled gold. 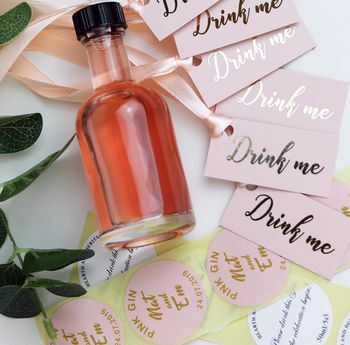 If you would prefer us to make the favours for you please see our listings for bottles of gin/vodka/lemoncello and whisky, personalised and decorated ready for you. card tag with gold foil message and black type on back. 37mm round labels in white with black message printed. This product is dispatched to you by Hearth & Heritage.